You've seen it. You've heard it. But do you have one? This is the original Dunlop Cry Baby wah pedal. It's the one that's joined legions of legendary guitarists onstage since the dawn of rock... from Hendrix to Clapton and far, far beyond. Mount this one on your pedalboard and you'll never regret the decision: this is the one and only wah you need to conjure up classic tones or dive in a new direction of your own. 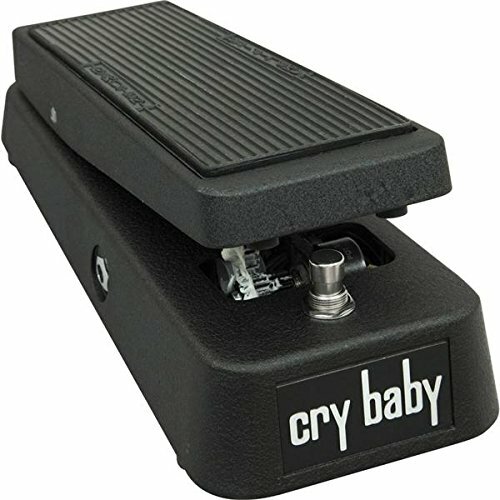 Featuring a heavy-duty die-cast construction for years of stomping, rocking, and tear-shedding (and sometimes shredding) the Dunlop Cry Baby wah pedal is a pedalboard classic. Put your foot down and be heard!